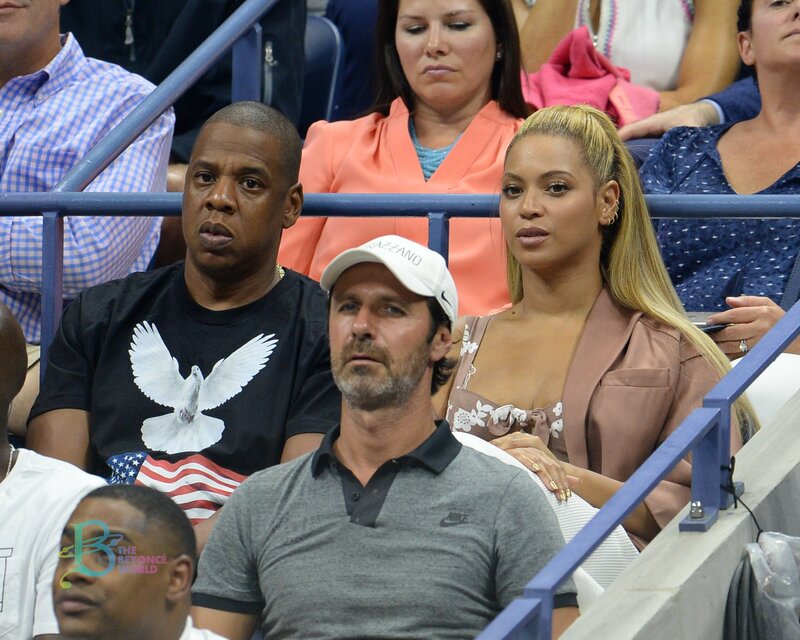 Beyonce and Jay Z sit in the stands while attending the second round, Day 4, of the Women’s Singles match at the 2016 U.S. Open today at the USTA Billie Jean King National Tennis Center in New York City. Check out the photos in the gallery. Beyonce and Jay Z were spotted tonight, sitting court side at The 64th NBA All-Star Game 2015. This is nothing new, being that the all star game was held in Brooklyn at the Barclays Center, where Jay and Bey often make appearances at. There are more photos to come, but until then here are a few MQ photos. Now has been updated with HQ photos. Tonight(February 17) Beyonce and Jay-Z were seen enjoying the 2013 NBA All-Star game at the Toyota Center in Houston, Texas. Jay-Z and Beyonce watched the game between the Atlanta Hawks and the Miami Heat last night (December 10) at American Airlines Arena in Miami.